This tourism initiative for a prominent Māori tribe has attracted and transfixed visitors from all over the world. 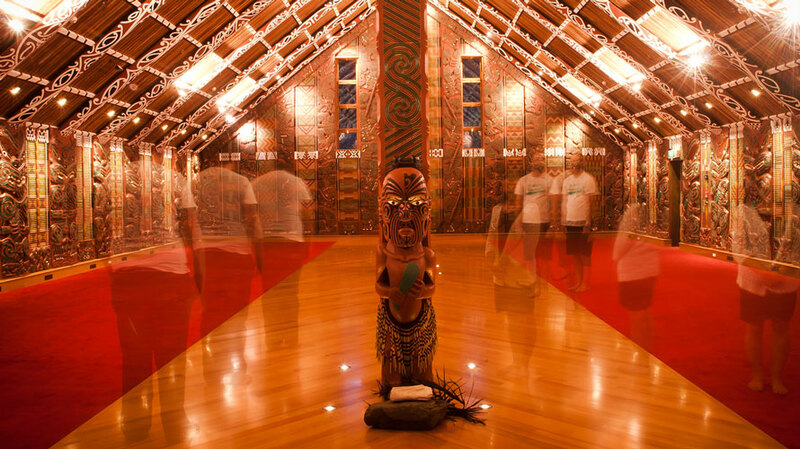 After more than 130 years away, Mataatua Wharenui – New Zealand’s most travelled Māori meeting house – was returned to the Ngāti Awa tribe in 2012. The tribe wanted to create an immersive experience to tell the history of the wharenui and Ngāti Awa; in a way that would respect and enhance this ancient building without eclipsing it. Our goal was to create an immersive experience to tell the history of the wharenui and Ngāti Awa; in a way that would respect and enhance this ancient building without eclipsing it. We achieved this ambitious project using ‘digital projection mapping’ which melds ancient carvings and modern technology. The experience would be a key tourist attraction for the region and a major source of income for the tribe. Zef’s role was to research the history of the tribe and construct a storyline that would engage visitors of any age and from any culture. He meet with tribal leaders who traced their lineage back over a thousand years. Zef and the design team visited sites of historical significance and explored a variety of mechanisms for immersive storytelling. The team struck on the idea of moving the experience from a tourism centre being built alongside the meeting house, to being directly inside the meeting house itself. 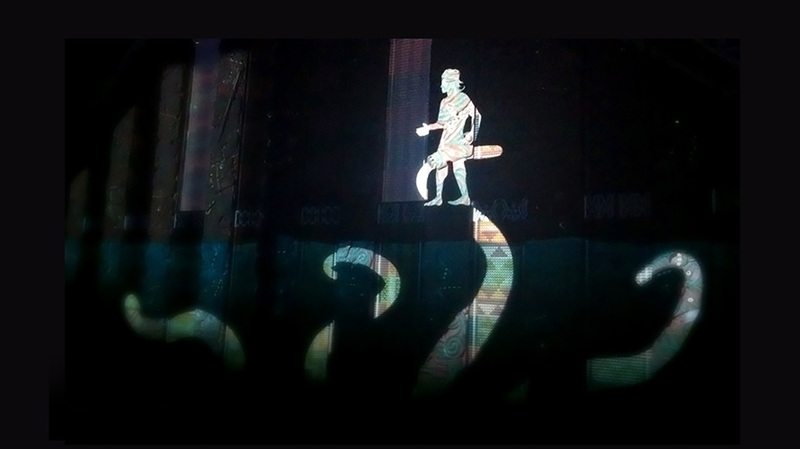 Click Suite achieved this ambitious project using ‘digital projection mapping’ and animation – making use of the richly detailed carvings and tukutuku (woven flax panels) which were used as the projection canvas. 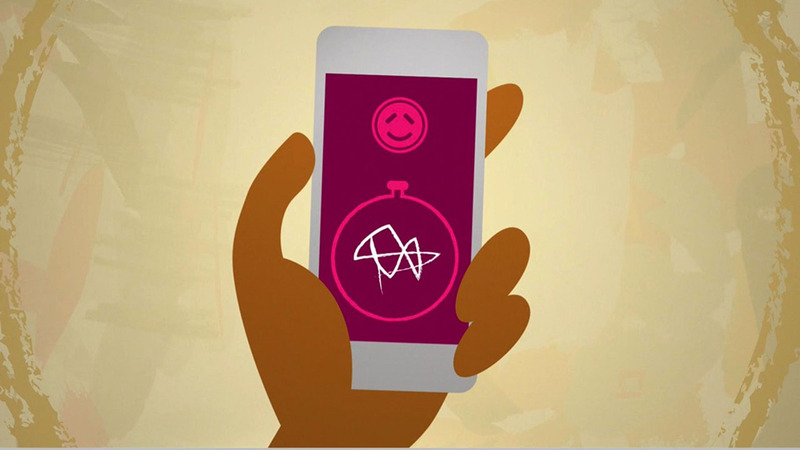 The result is that when visitors enter the meeting house they are treated to stories about ancestral artefacts – yet done a way they have never experienced before – thanks to the melding of ancient carvings and modern technology. 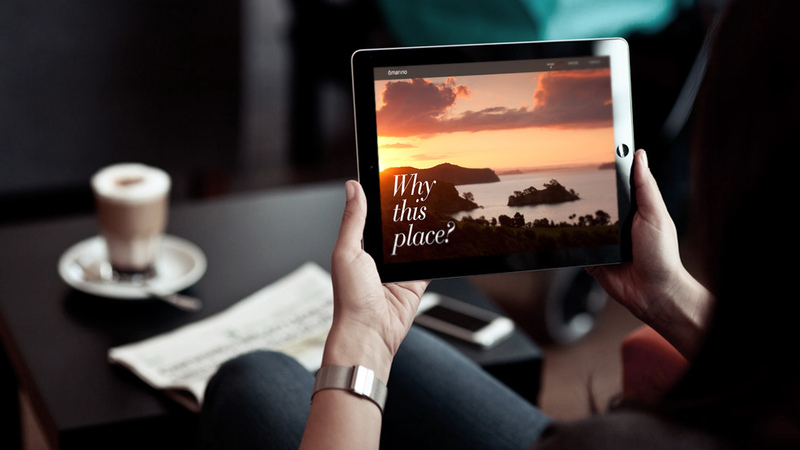 Sleepy Whakatane is now the talk of the resurgent Māori tourism industry thanks to a few sophisticated tricks of the light and great storytelling. After more than 130 years away, Mataatua Wharenui – New Zealand’s most travelled Māori meeting house – has been returned to the Ngāti Awa tribe. 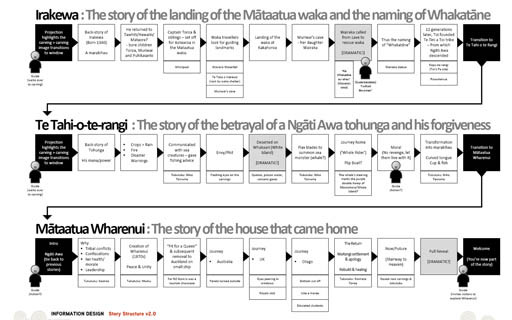 Create an immersive experience to tell the history of the wharenui and Ngāti Awa; in a way that would respect and enhance this ancient building without eclipsing it. 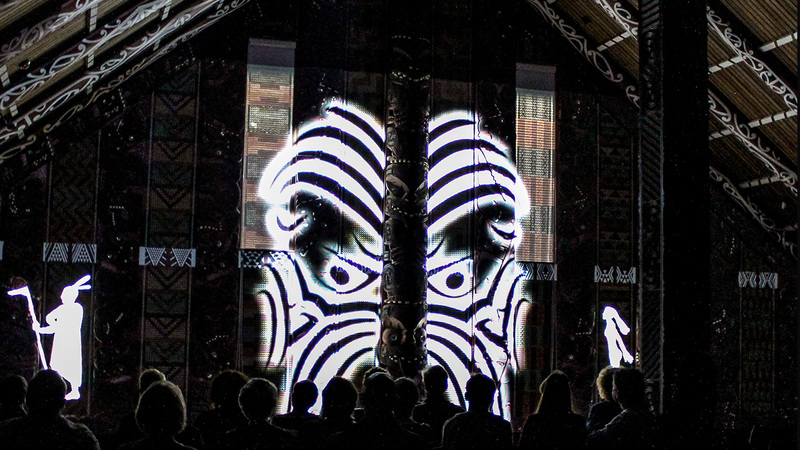 Click Suite achieved this ambitious project using ‘digital projection mapping’ – a first for Click Suite – and made even more challenging due to the richly detailed carvings and tukutuku (woven flax panels) we had as our projection canvas. When visitors enter the meeting house they are treated to stories about ancestral artefacts – yet done a way they have never experienced before – thanks to the melding of ancient carvings and modern technology. We think that the result speaks for itself in the words of the visitors to Mataatua… “Amazing” – “Blown away” – “Outstanding” – “Transfixed” Sleepy Whakatane is now the talk of the resurgent Māori tourism industry thanks to a few sophisticated tricks of the light. 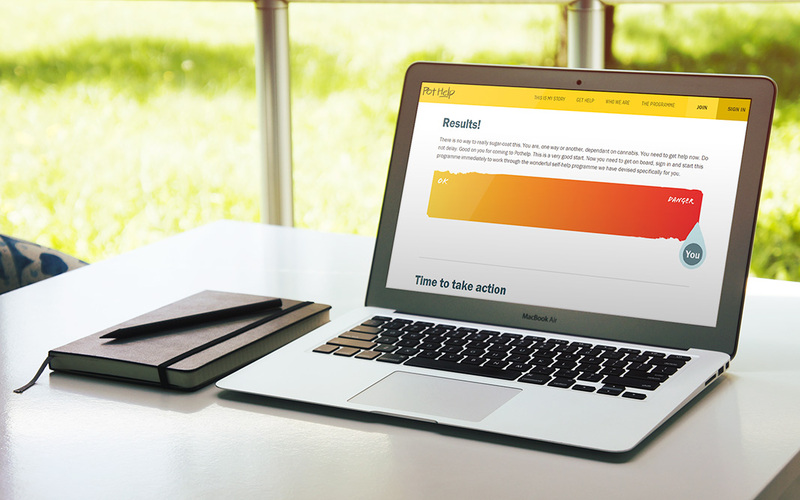 A self-help solution to help pot (marijuana) smokers quit. From 2013-2016 I managed a multi award-winning team of nine designers including customer researchers, product designers and graphic designers. Selling gorgeous multi-million dollar properties to the world’s rich and famous. 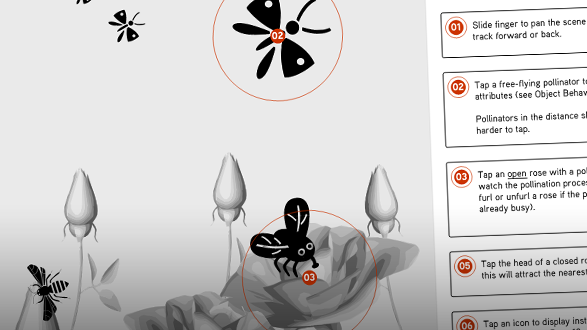 We took three common New Zealand insects – the honey bee, monarch and native hoverfly – and set them loose in an amazing virtual rose garden.